There are as many ways to do a crosswind landing as there are pilots to do them. Having said that, I do not intend this article to be the final word on how to successfully land in a “Cross” wind, rather it is about how not to become the topic of conversation at “happy hour” or a file on an Aviation Safety Inspector’s desk. I learned to fly in the northern Midwest. We had crosswinds, but we also had crosswind runways – it was very seldom you landed with the wind more than 35° off the nose. Additionally, Midwestern weather generally does not generate the wind speeds that we encounter in the high desert. Out here, many airports have a single runway that is aligned with the prevailing wind, or the centerline of the valley, but it is woefully inadequate for those days when you have a howling crosswind. One of the standard jokes about High Desert flying conditions is – “We have 9 months of severe turbulence broken up by periods of moderate chop!” While it’s probably not THAT bad, the clear skies, bright sun and flat sandy ground generate a host of varying wind conditions. Where else can you see the standing lenticulars of mountain wave, virga causing microbursts, and dust devils – all on the same day?! Even though we have a great climate to live in, like it or not, certain facts are in evidence. Federal Aviation Administration (FAA) accident records in FY-2004 (October 1, 2003 to September 30, 2004) reveal the Southwest Region had 231 aviation accidents (not accidents and incidents – just accidents). Of these 231 accidents, 155 (67% - or 2 out of 3) were a result of loss of control during takeoff or landing! All of the various aviation publications, including this one, have published an article on crosswind takeoffs and landings about every 24 to 30 months. When I was flight instructing, I used to say these articles were the “New and improved way to land in a crosswind.” Each author held forth his, or her, ideas and techniques on how to foil the wily winds of fortune, or misfortune, as the case may be. If you read each article and remembered what you had read in the previous article, you probably discovered, as I did, there was nothing “new” in the author’s advice to the windblown. We could beat that proverbial dead horse into mush discussing all the “different” techniques and tricks of cross wind landings, however there are really only three things you can do with a general aviation type aircraft. You can “slip” down the final approach leg, “crab” to a landing, or go someplace else. Actually, there is a fourth thing you can do – as 155 of our fellow pilots discovered during the previous year. Whether the aircraft you are flying was certificated in accordance with 14 CFR Part 23, CAR 3 (most single engine Bellanca, Cessna, Mooney, and Piper airplanes) or CAA Bulletin 7A, you will probably be surprised to learn none of these numerous pages of regulatory rhetoric require a crosswind limitation to be determined for your airplane or glider. (I am only going to discuss airplanes and gliders here – anyone who has a crosswind landing problem in a helicopter hasn’t figured out helicopters, and if you feel the need to land crosswind in a balloon, just face 90° left or right of your flight path). Instead, you have a “Maximum Demonstrated Crosswind Component” listed in the Pilot’s Operating Handbook or Airplane Flight Manual. “Demonstrated,” means just that – demonstrated. During the flight-testing for certification there was a “…demonstration of being satisfactorily controllable with no exceptional degree of skill or alertness on the part of the pilot in 90° crosswinds up to a velocity equal to 0.2 VSO.” Basically, the airplane must be controllable at a windspeed of two-tenths its power off stalling speed when it is in the landing configuration. In a Cessna 172, VSO is 40 KIAS. Cessna was only required to demonstrate controllability in an 8-knot crosswind to be certified! The 15-knot Demonstrated Crosswind Component is not a limitation, per se; it’s just a simple statement that sometime during certification the airplane was landed successfully, without using any unusual skills, in a 15-knot crosswind. But, remember the pilot who demonstrated the crosswind landing was a very experienced test pilot. Are you as competent as he or she was? “Land at an angle across the runway – moving from the downwind side to the upwind side!” It will help, but only if you are in a Super Cub or the like, where your stall speed, under normal conditions, is very little faster than your hunting dog can run, and your “slow flight” skills and aircraft control skills on final approach are exceptional. Additionally, you need to be on a runway that is somewhat wider than normal, and your final approach will be offset to the downwind side of the runway. Don’t try this in a Bonanza or Cessna 210 under any circumstances. They are too heavy to stop in time with the brakes they are equipped with. “Land in the dead air downwind of the hangars or trees.” Trees! What trees? If the hangars are that close to the runway, you are probably more concerned about them and will have to fight all your normal instincts to keep from landing beyond the end of the hangars. While the wind’s speed may be diminished by the obstruction, it is not going to be “dead.” Be prepared for turbulent conditions as you get down to the height of the obstruction. Finally, if you have not mastered consistently landing at a predetermined point and on the centerline of the runway, this is going to be really difficult. See Dirty Harry above. “Land in a full stall! She’s through flyin.” “She” is if you don’t bounce during the landing. If you do, it puts the airplane back up in the air with a stalled wing and no airflow to correct for the downwind drift you have just acquired. You must stall the aircraft just as the main landing gear touches the runway – which is how we are supposed to be doing it all the time. How proficient are you at this? “Land with extra power and speed – just fly it on.” This works if you have adequate runway and remember to reduce the power gradually, while gradually increasing aileron and rudder inputs to compensate for the loss of relative wind as the aircraft slows down. Use firm, but not heavy, braking – if you skid the tires, you stand a good chance of losing control during the landing roll. Using less than full aileron displacement into the wind when initiating the takeoff roll. 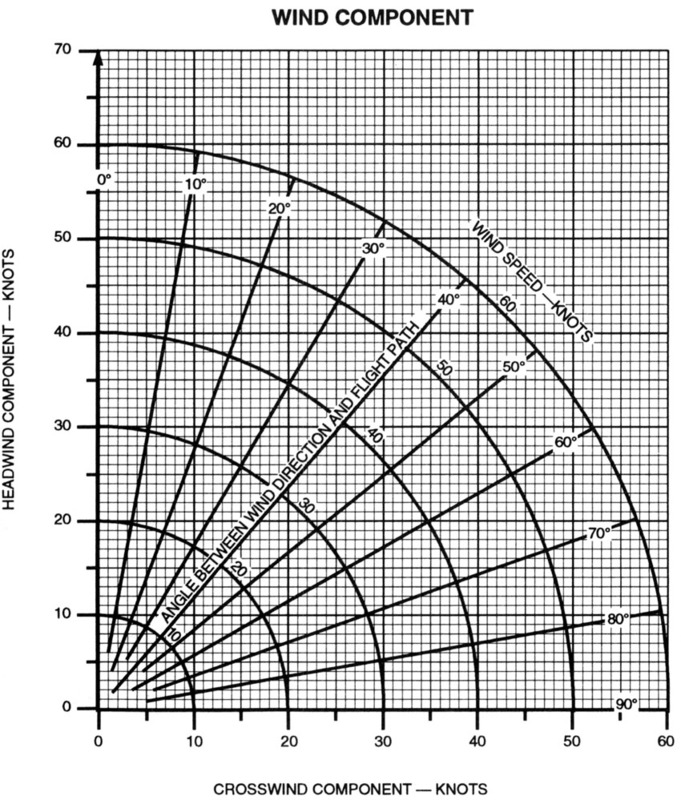 Mechanical use of aileron control rather than sensing the need for varying aileron input by feel for the airplane. Excessive aileron input in the latter stage of the takeoff roll – resulting in a steep bank and possible turn into the wind at lift-off. Premature lift-off that results in side skipping. Attempting to land in conditions that exceed the performance capabilities of the aircraft. Inadequate compensation for wind drift on final approach. Failure to compensate for the increased drag during sideslip approaches which may result in an excessive sink rate and/or too slow an airspeed on final approach. Failing to apply appropriate flight control inputs during the landing rollout. Failing to maintain directional control during the landing rollout. All of the popular How-to-Fly books/manuals (Langewiesche, Kershner, Machado, Manningham, & Van Sikcle) discuss two techniques for crosswind operations - “Crabbing” and “Slipping.” Each has its good and bad points. The aircraft establishes a heading (crab angle) into the wind that allows the ground track to be aligned with the runway centerline. Just prior to touchdown, the fuselage (the longitudinal axis – actually) is aligned with the runway centerline (more realistically, the direction of travel) by changing to a forward slip, or just pushing hard on the downwind rudder (and accepting the fact you will acquire some sideways drift) and touching down. If you are flying a Lear Jet, with tip tanks, and any of the other low-to-the-ground executive jets, or an airplane with the engines mounted under the wing in pods (a Douglas Diesel-8 with turbofan conversions) the slip method will not work for you – things tend to drag on the runway. However, these aircraft have a lot of weight moving at a fairly high rate of speed, which results in momentum to overcome the drifting tendency at touchdown. There are really only two faults/problems with this style of approach, and these are what I see when I’m conducting initial CFI certification, or reexamination testing. The main fault with this style of approach is that you are going to do all the “wing down and opposite rudder” at the last possible moment (getting it right the first time). Additionally, you have waited until the last moment to find out if you have enough rudder control available to line the nose up with the direction of travel – sometimes you don’t. If you are not able to line the longitudinal axis up with your direction of motion the aircraft touches down moving sideways, which places a side-load on the landing gear. Many times the aircraft is “kicked parallel” to the runway centerline and then allowed to drop onto the runway with little or no thought to any drift that has been acquired as the forward momentum has decreased and the crosswind component has increased. The aircraft has not been flown onto the runway in control of the pilot. The aircraft is lined up with the runway centerline and the upwind wing is lowered to stop the aircraft from drifting off centerline downwind. Since the airplane will want to turn toward the low wing, opposite rudder must be used to line the longitudinal axis with the centerline of the runway. The aircraft is simply held in this attitude until the upwind main landing gear wheel touches down on the runway (you can do this with, or without power, and with, or without, flaps). As the aircraft loses forward speed, it will be necessary to increase aileron and rudder inputs to maintain your relative ground track until the downwind main landing gear touches down and you guide the aircraft down the centerline with proper aileron inputs for the aircraft’s forward speed verses the wind speed. You have control of the airplane all the way to touchdown. This is because you made a longer final approach, and started your crosswind (or cross-control – and you will be cross-controlled in a slip) corrections earlier. You were able to determine that you had adequate flight control authority to hold the airplane steady on the centerline and touch down without drifting. You have determined you will have control of the aircraft all the way through the landing roll because you already know you have adequate controls to hold the aircraft on centerline while on final approach. If you do have enough control authority to keep the aircraft from drifting downwind, or line the nose up with the centerline, you have already determined the crosswind component is greater than you and your aircraft’s capabilities and have executed a go-around and are headed for another airport where the runway is more aligned with the wind (this is probably the most important point – there is a time to say “Enough!” and go somewhere else). You can use full, partial, or no flaps – simply strive to maintain 1.3 to 1.4 VS (or the recommended approach speed in the POH) for whatever amount of flaps you have selected. (Not comfortable flying that slow? Go out and practice.) Your POH says “Avoid slips with flaps extended.” Then leave them up. The increase in stall speeds for a Cessna 172 is 8 KIAS from full flaps to no flaps. If you are worried about not being able to stop on a really short runway, or being too fast on a soft muddy runway, please call me (ABQ FSDO @ 800-531-1124) because I am worried about your Aeronautical Decision Making (ADM) – these situations are “maximum performance” maneuvers in their own right and should not be complicated by a crosswind at or near the aircraft’s capabilities. I’ll leave you with this: Most fairy tales begin with: “Once upon a time ….” However in the Desert Southwest most aircraft accident explanations begin with: “Well, a gust of wind….” Do you know your aircraft’s crosswind limitations? Have you established crosswind limitations for yourself? J.D. Huss is the Safety Program Manager for the Albuquerque Flight Standards District Office. He may be contacted at JD.Huss@faa.gov.